Pennsylvania’s Music Preservation Society (PAMPS) is a 501(c)(3) charitable non-profit organization devoted to the promotion and preservation of Pennsylvania’s musical heritage and cultural history that is all too quickly fading away and being forgotten. We intend on doing this through festivals and other events, which will be open to all ages of the general public, with the goal of having this important common bond be enjoyed and kept alive for generations to come. Alex Meixner, nationally renowned and Grammy-nominated polka virtuoso, co-founded Pennsylvania’s Music Preservation Society in 2015 to ensure that traditional and emerging Pennsylvania musicians, music, artisans, and art forms find new audiences, and that Pennsylvania’s historic and ongoing musical and artistic contributions be recognized. Meixner and PAMPS co-founders chose Allentown, PA to be the Society’s headquarters because of its remarkable arts infrastructure and rich ongoing immigrant history where rich historic connections to diverse music and art forms abound. Today, Allentown is home to one of the fastest growing Hispanic communities in the nation. Reflecting his work with Smithsonian Folkways, Meixner looks forward to The Society ensuring that new generations are introduced to Pennsylvania’s music and art forms – both traditional and emerging – across generations and nationalities. In addition to Meixner, PAMPS co-founders include “Friends of Polka” Board President “Uncle Jeffrey” Tapler, “Chief” James Spang and Emeritus Co-Founders Mark Merkel and Marc Kress. In September of 2017, well-known business woman and nonprofit/civic leader Siobhan “Sam” Bennett was recruited to be the organization’s first Chair of the Board and CEO. 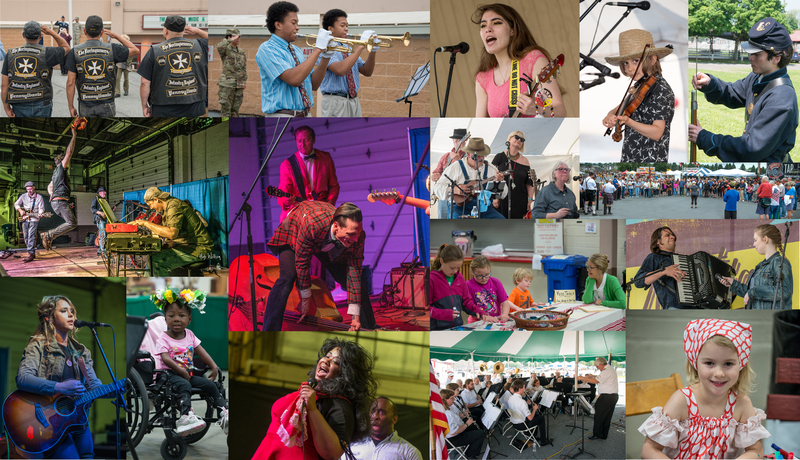 In her first year, Bennett created both The Great Pennsylvania Music & Arts Celebration, on Memorial Day Weekend at the historic Allentown Fairgrounds, and Pennsylvania’s Music Preservation Society Fellowship Program, to meet the ambitious and important goals of the organization.